The making of premium tea requires 3 elements:heavenly natural timing(天時), earthly geographical advantage(地利) and harmonious human condition(人和). No premium tea can be produced shall any of these elements be missing or misaligned. Jhentea aims at incorporating these elements and always producing leaf loose tea that comes alive in your making. Jhentea pays close attention to the right time to pick and produce healthy tea for you. Aside from the tealeaves picking time, it is key to respect nature’s cycle and not to interfere artificially the growth of tea plants. Unlike lower altitude teas that are harvested 5-6 times annually, high mountain tea, or tea grown in the alpine tea zones between 1200m and 2600m above sea level, enjoys only 2 to 3 harvests per year. High mountain tea takes longer to grow. Given that, high mountain tealeaves are smaller and thicker and have more time to absorb and store the aroma in the tea garden. This is the reason why premium high mountain tea is extremely rare and has such exquisite and sought after characteristics and flavors. Thanks to Taiwan’s geographical advantage, tea from Taiwan grows in one of the best conditions in the world. Taiwan is unique in that it is a tropical island with extremely tall mountains. 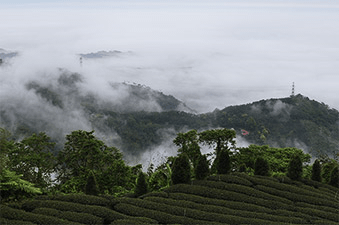 Tall mountains in Taiwan enjoy the geographical advantage of taking in the moisture of the tropical island so as to nurturing one of the top premium teas in the world. 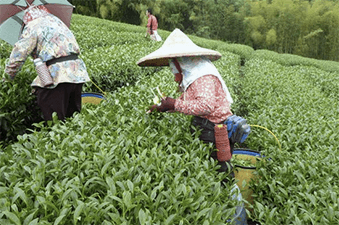 The skills and experience of Jhentea’s tea masters distinguish Jhentea from other tea producers. We treat our tea as if it were a person. Each is unique with its own personality that we strive to nurture to its best condition. 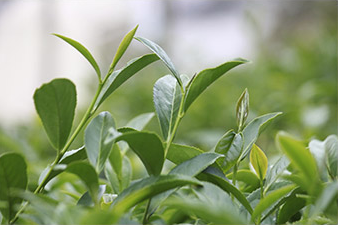 We carefully observe their growth for that helps determine the best tea making method to be applied. In choosing the most suitable way to make tea, Jhentea insists on the preservation of the individual characteristics of each of our healthy tea. This allows your organic leaf tea to release its authentic flavor when you make it. When we handpick our tealeaves, we are careful in assuring that the aroma of the mountain is stored in them. We then quickly and gently spread the fresh picked leaves apart, we make sure that we take care of the leaves with our hands gently so that we do not cause the leaves any damage. In so doing, heat can dissipate from the leaves, and moisture can run through tealeaves. We sort the leaves timely with our hands, and smell the aroma with our hearts. Working in harmony with temperature, humidity, sunlight and wind, we use a four-generation old technique to sort through the leaves gently by hand; meanwhile, we carefully observe natural conditions, including air flow, and remove any tart and bitter taste from the leaves with our special technique. Any remaining impurities in the tealeaves are removed at the right time . We toss them and turn them, releasing their fragrance as they move back and forth. By then, only the exquisite taste of tea remains and is stored at the edges of leaves. Such tealeaves contain an authentic flavor that touches the deepest part of your heart and soul. Without tart and bitter taste or impurities, the tea is alive and warms your stomach with its fine quality. We insist that every cup of your Jhentea is made this way.